creases the responsiveness of some NB cell lines to RA (Cheung et al. 1998). Furthermore, RARb selective agonists mediate growth inhibitory signals in NB cell lines (Giannini et al. 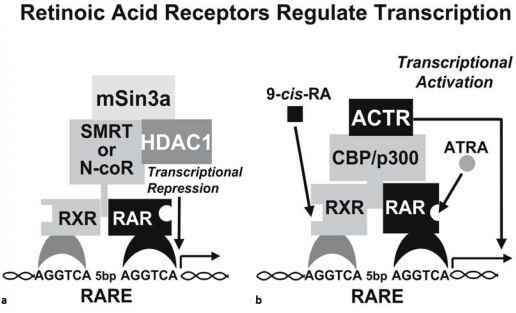 1997); thus, while alterations in RAR or RXR do not appear to be a major resistance mechanism, higher levels of expression of these receptors may enhance sensitivity to re-tinoids.